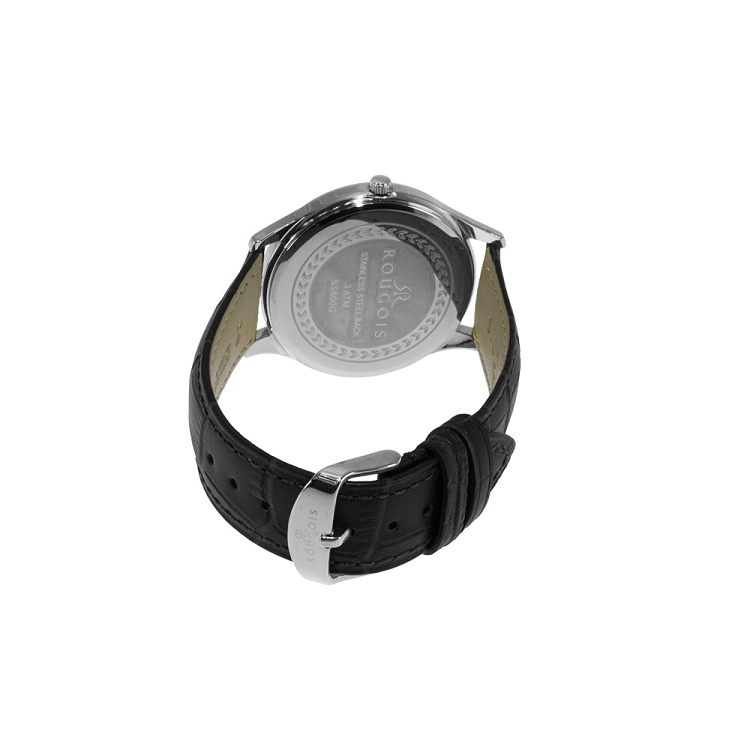 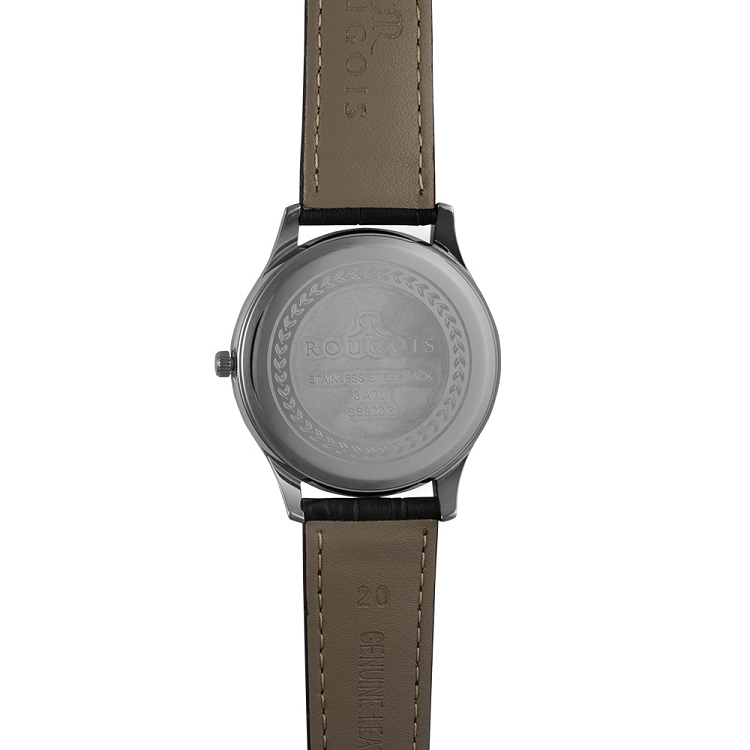 The black leather wristband of this watch offers extreme comfort and style. 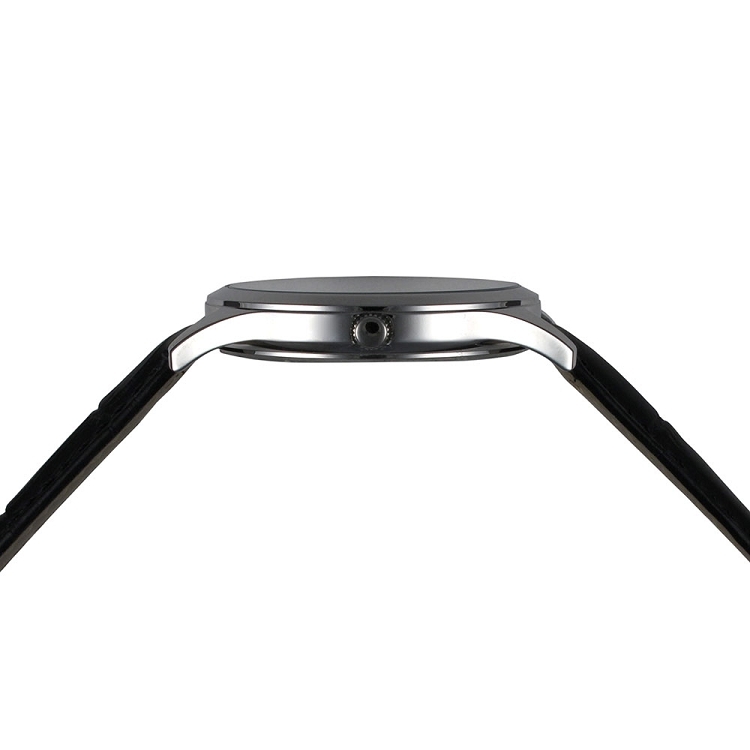 A stainless steel case looks sleek against the black band while tick marks work in lieu of traditional numbers. 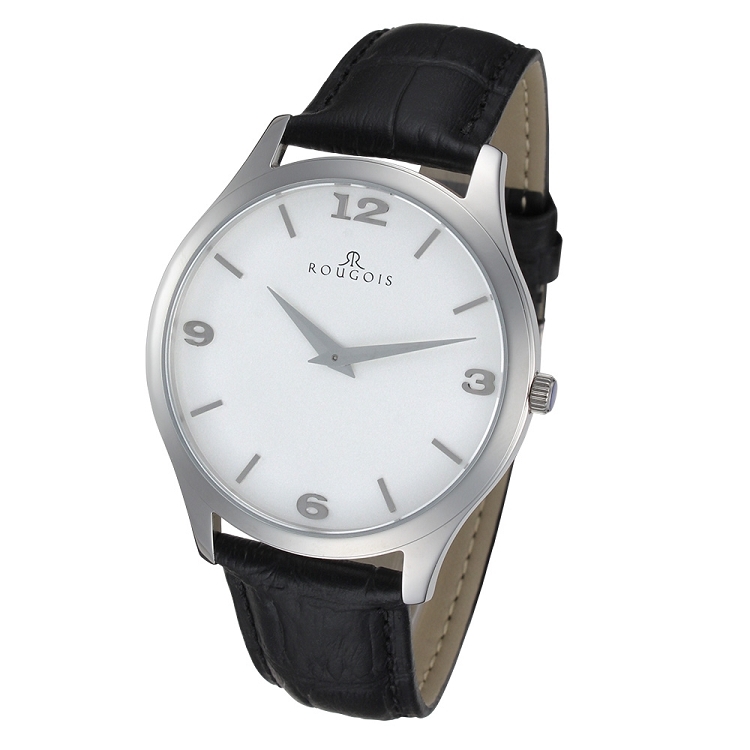 The white background dial offer a clean and crisp feeling that looks dashing with a variety of outfits.